Cache Logistics Trust's 1Q18 DPU of 1.507 Scts (-12.5% y-o-y) was in line with Bloomberg consensus expectation but slightly below ours at 23% of our full-year forecast. Excluding the capital distribution from Kim Heng warehouse, 1Q18 DPU would have fallen 7.2% y-o-y. 1Q18 was a strong leasing quarter as CACHE reduced 19.4% of gross rental income (GRI) due for renewal in 2018 to 6.7%. We cut our FY18F-20F DPU by 9.5-11% as we bake in the conversion of CWT Commodity Hub into a MTB as well as the slight earnings-miss in 1Q18. 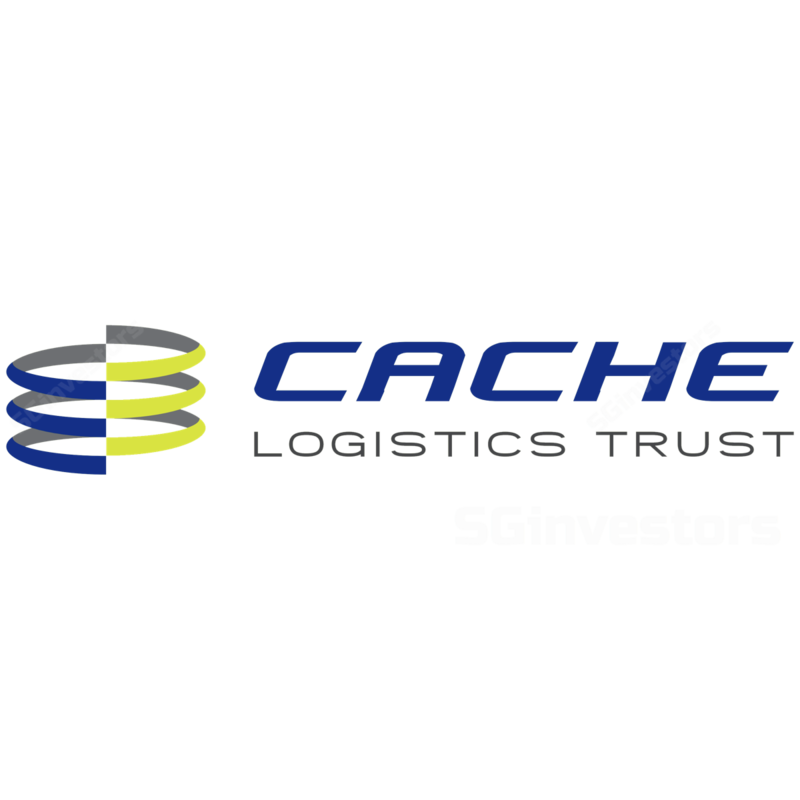 Cache Logistics Trust's 1Q18 NPI rose 10% y-o-y, mainly due to new contribution from an Australian acquisition (completed on 15 Feb) and new lease agreement with Schenker. Distributable income from operations only rose 5.5% due to the 5.5% S$100m perpetual securities (issued on 1 Feb). As a whole, distributable income dipped 0.6% y-o-y due to S$0.9m capital distribution from the sale of Kim Heng warehouse. Headline DPU fell 12.5% y-o-y on higher unit base (rights issue in 4Q17). Excluding capital distribution, DPU fell 7.2% y-o-y. For YTD to 12 Apr, Cache Logistics Trust secured c.632.7k sq ft of leases out of the c.1.3m sq ft expiring in 2018. As a result, 19.4% of GRI due for renewal in 2018 has now decreased to 6.7%. Some c.1% of GRI in 2018F is attributable to CWT Commodity Hub. 27.3% of GRI is up for renewal in 2019; CWT Commodity Hub alone accounts for 13.2% of GRI. Cache Logistics Trust announced on 12 Apr that following its master lease expiry, CWT Commodity Hub would be converted into a multi-tenanted building (MTB). The underlying occupancy of the property is c.86%, with CWT leasing c.61% of the premise. Other tenants include LF Asia (pharmaceutical distributor), DKSH (logistics) and F&N Foods. Due to the conversion, portfolio occupancy fell to 92.8% as at 12 Apr (FY17: 96.6%). On a like-for-like basis (from a rental rate perspective), the impact of Commodity Hub’s conversion to MTB would be flattish, guided Cache Logistics Trust. That is, the average gross rent from the underlying leases (c.S$1.40 psf pm) would yield similar income as the expired master rent (c.S$1.11 psf pm). However, there would still be some shortfall due to the building efficiency ratio (high at c.96%) and the current c.14% vacancy. We believe the property's occupancy could reach a stabilised state of 90% by end-FY18F, and 93% by end-FY19F. We cut our FY19F-20F DPU by 9.5-11% mainly on Commodity Hub's conversion and slight results-miss in 1Q18 (we now pencil in lower NPI margin, higher borrowing costs). Post divestment of Hi-Speed Logistics centre, we expect gearing to improve to 35.2% (1Q17: 38.5%, borrowing costs dipped 6bp q-o-q to 3.5%). With limited DPU growth, we maintain HOLD. Upside risk could be distribution of hitherto S$2.1m (or 0.19 Scts/unit) rental top-up retained (in relation to Schenker) and better logistics market.